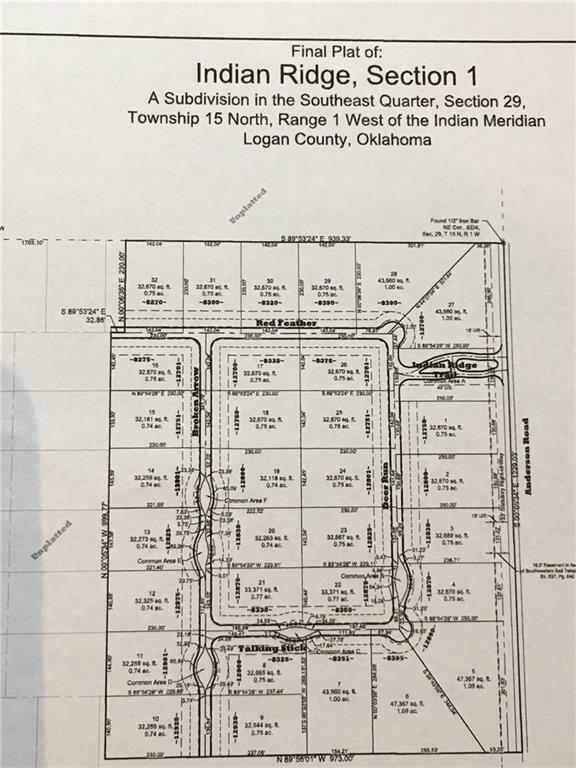 HEAVILY WOODED ACREAGE SUBDIVISION IN THE EDMOND SCHOOL DISTRICT.LOTS RANGE IN SIZE FROM .74 UP TO 1.09.GATED ENTRY. CONCRETE STREETS & CURBS.MINIMUM SQ FT 1800. DEVELOPER HAS TO APPROVE BOTH BUILDER AND ELEVATION/FLOOR PLAN.CENTRAL ELECTRIC COOP, LOGAN CO. RURAL WATER. LISTING BROKER IS RELATED TO SELLER.